This past week , most of us in the North East have endured the worst dump of snow, so far this winter. It started coming down on Tuesday (12 Feb ) night and continued right through to Wednesday afternoon. I had over a foot of snow in my driveway. 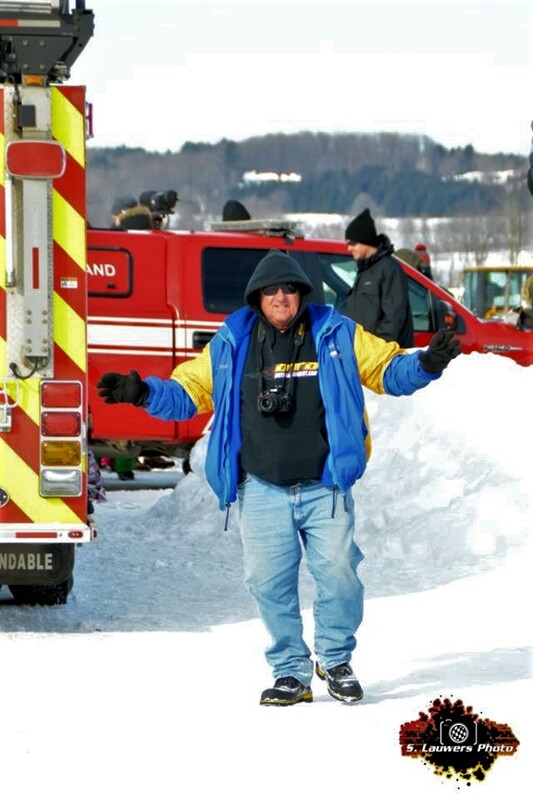 I have to thank my good friend ‘The Bulldog’ Dave Bissonnette, the Dirt Pro Stock driver for helping me out with his plow. Thanks Dave , much appreciated. 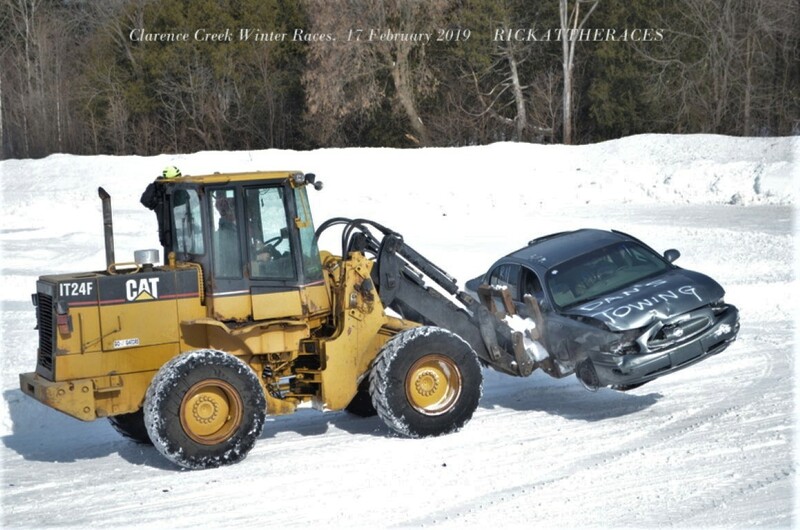 Luckily most of the local roads were cleaned up by the highway plows before Thursday morning. I had to make a trip to the Ottawa General Hospital that day for an appointment with my Myasthenia Gravis doctor. 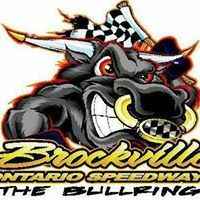 I finished at the doctor in Ottawa at 4-00 pm , but not enough time to drive down to the Volusia Speedway in Florida for Dirtcar Nationals ! Oh, well, maybe I’ll make it, another time. 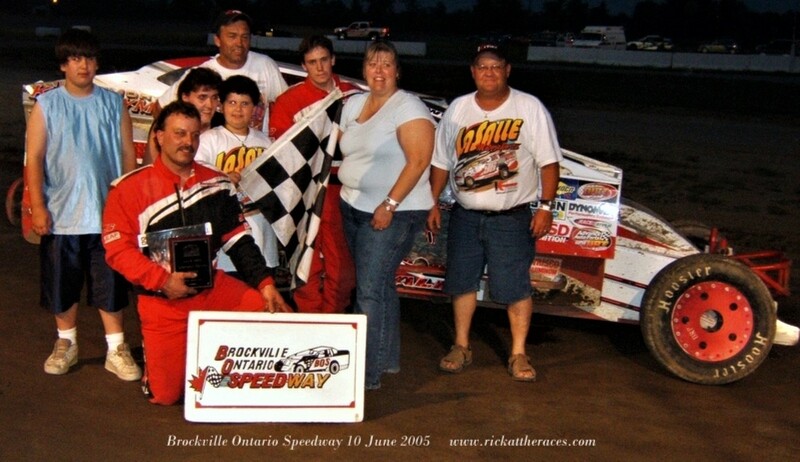 The Wednesday night race had Billy Decker take the checkers. On Thursday Matt Sheppard was the winner and on Friday it was the turn of Larry Wight. Saturday would be the final night of the tour, where the Nationals would be decided. At the weekend, I had other things to keep me occupied. 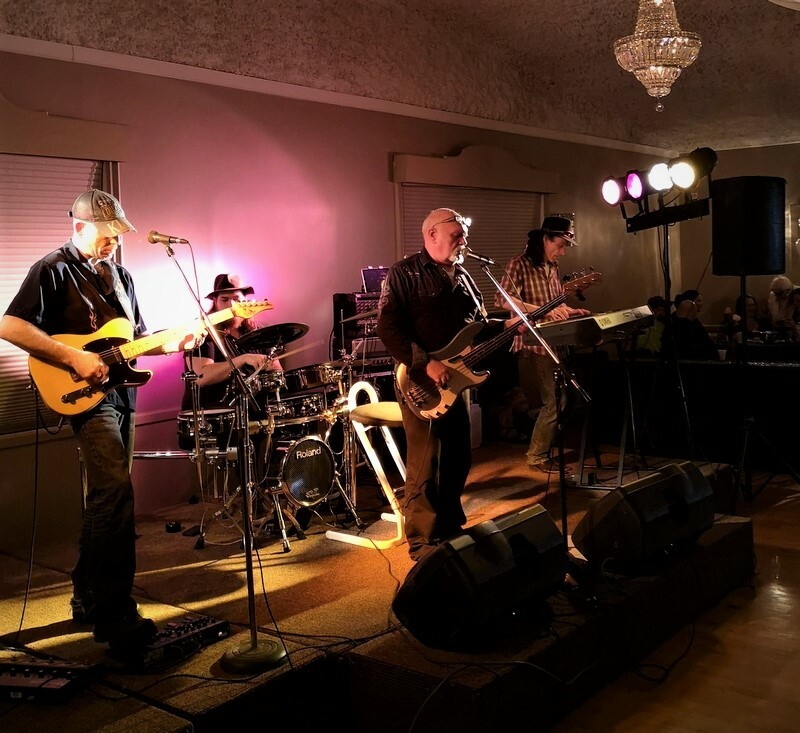 On Saturday 16 Feb, I was invited to Lori Lasalle’s ’50th Birthday Bash’ at The Roebuck Hall, Spencerville, Ont. 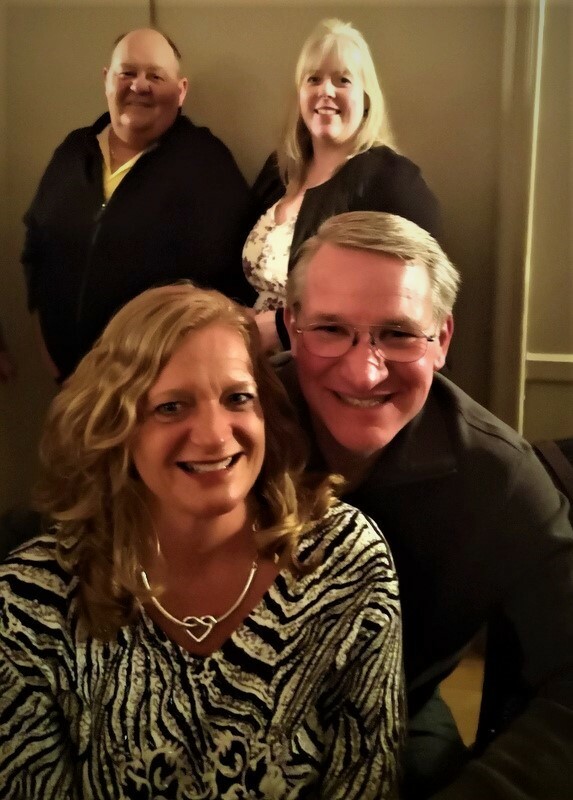 I’ve known Lori and her husband Mike for many years. 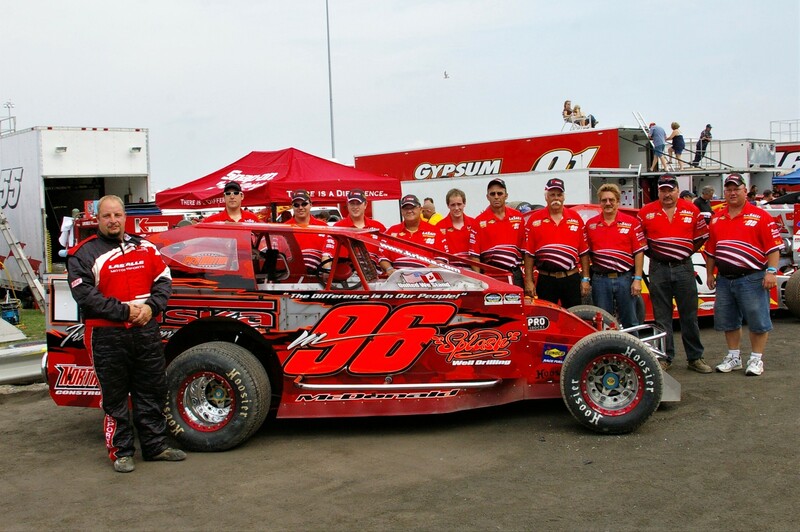 They are the owners of the Lasalle Dirt Modified team that has fielded cars at my local tracks since 2004. Many well known drivers have raced for them over the years and in preparation for doing this report, I racked my brain to make a list. 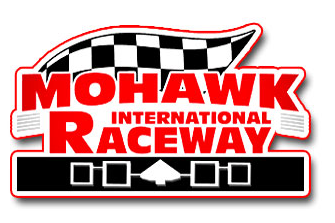 At the beginning , when they were running Dirt Sportsman cars, Marcel Pecore (Shane’s father) and Shawn Donath ( who later went on to Sprint Cars) were their ‘hired guns’. 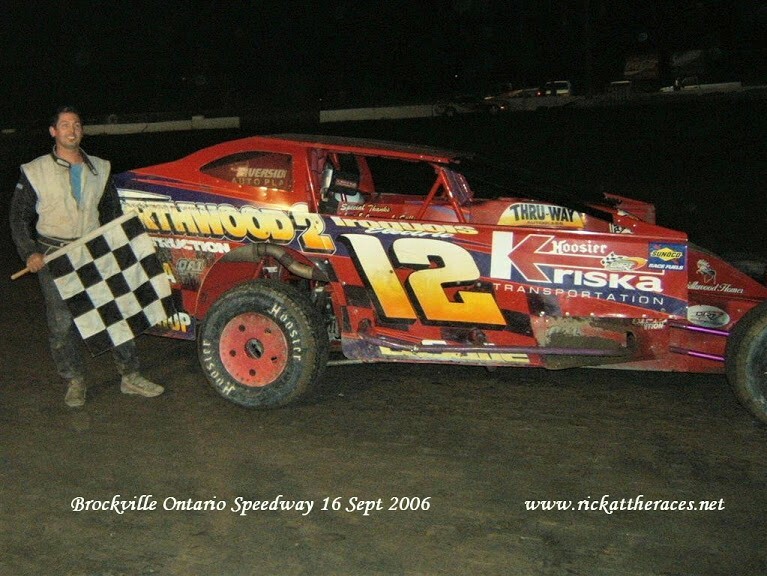 When the team switched to 358 Modifieds, Brian McDonald became the driver. 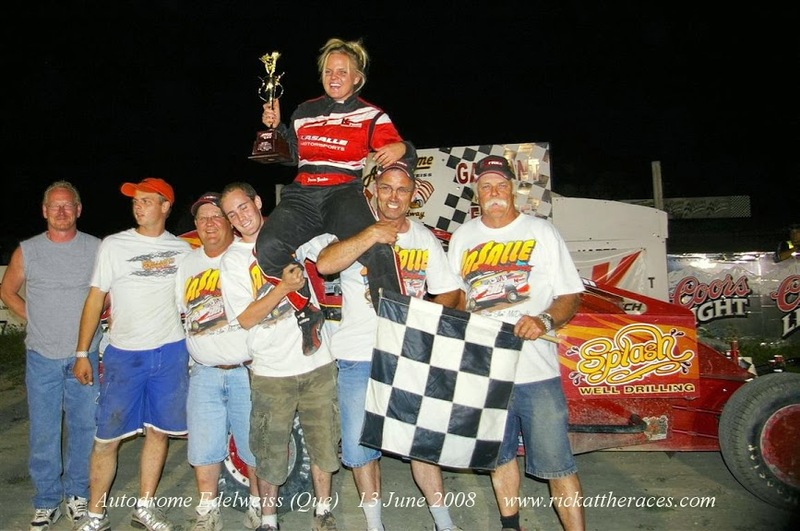 When they expanded to a two car team, Jessica Zemken, became the second driver. The team had often visited Victory Lane, but it was with Zemken behind the wheel, they had their best run of wins. 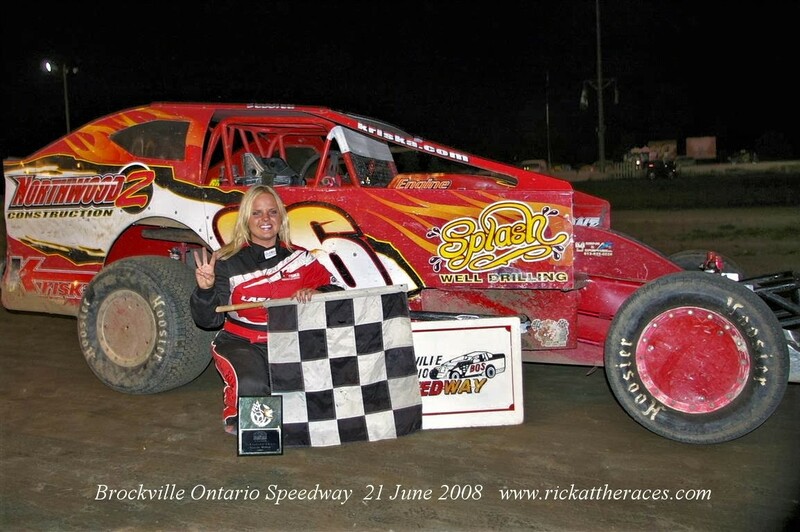 I think Jessica had three Brockville Ontario Speedway , wins and one at Autodrome Edelweiss, all in the space of a month. 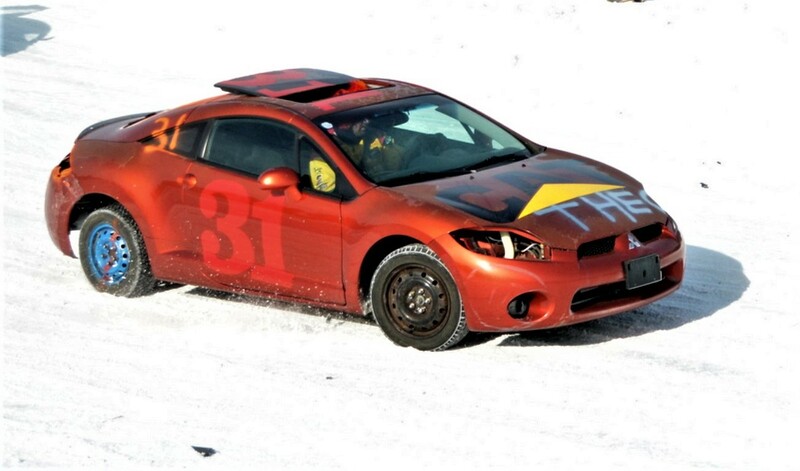 Other drivers to race for the Lasalle’s, include, their son Jeremy, Todd Stewart, Tim Kerr, Danny O’Brien , Lee Ladouceur and Dale Planck. 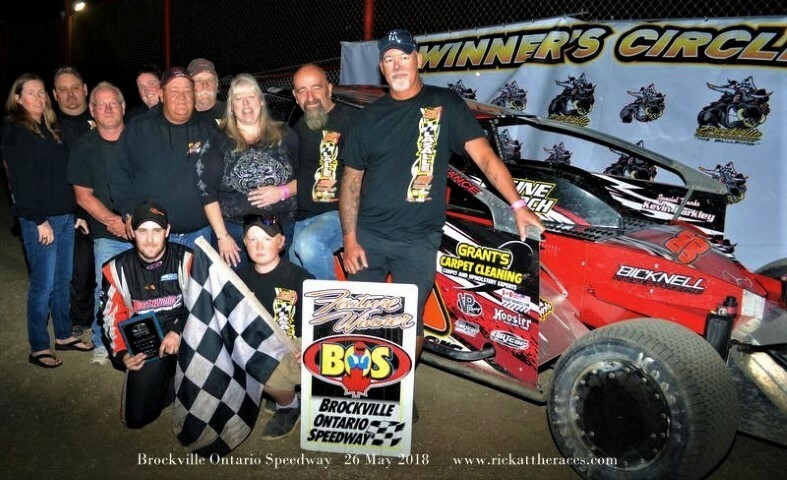 The most recent win for the team was for Jeremy at Brockville on the 26th May last year. 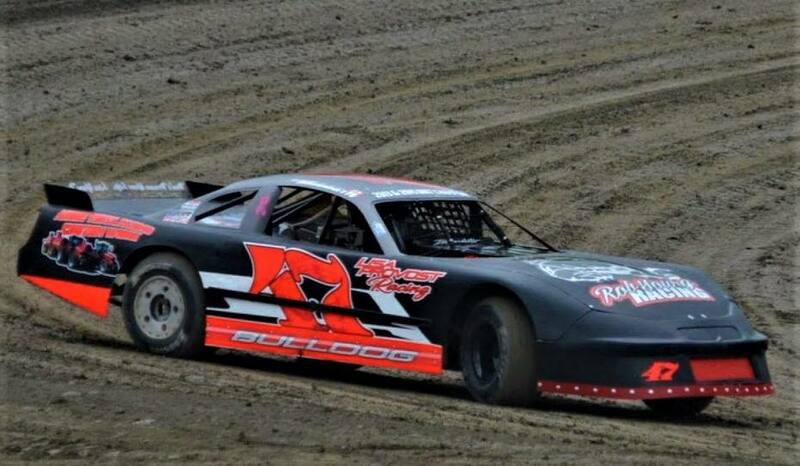 A few weeks ago it was announced that Gary Tomkins, the long time Super Dirt Series driver would be filling the seat for the 2019 campaign . Gary is someone else I’ve known for many years, and he and his wife Susan were present on Saturday . I recall being at the Hagerstown Speedway , in Maryland, back in 2002 when Gary got his first Super Dirt Series win. 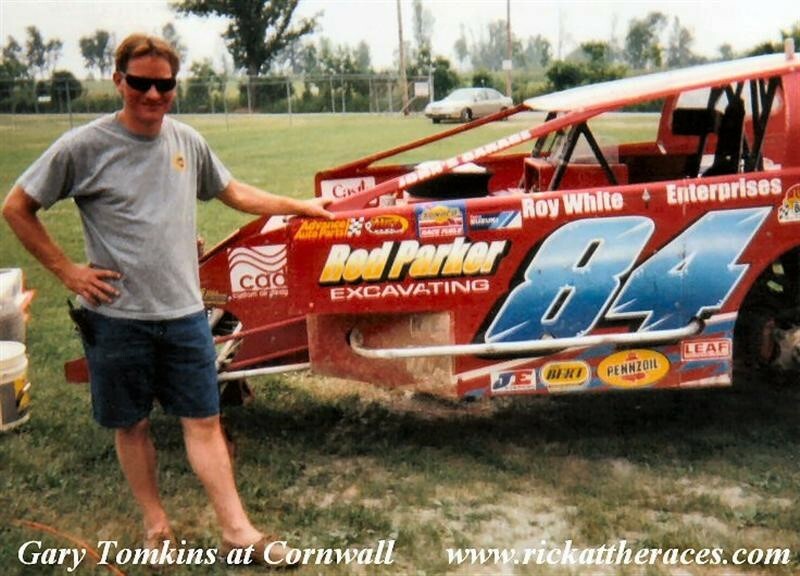 Since then, he’s had many more, including two at my local Cornwall Motor Speedway. 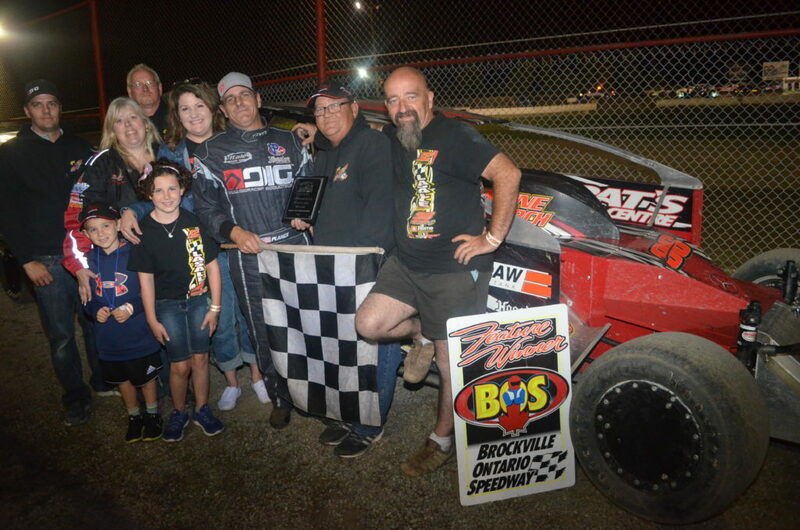 More recently, I was at the Weedsport Speedway NY in August 2016 to see this big SDS win. 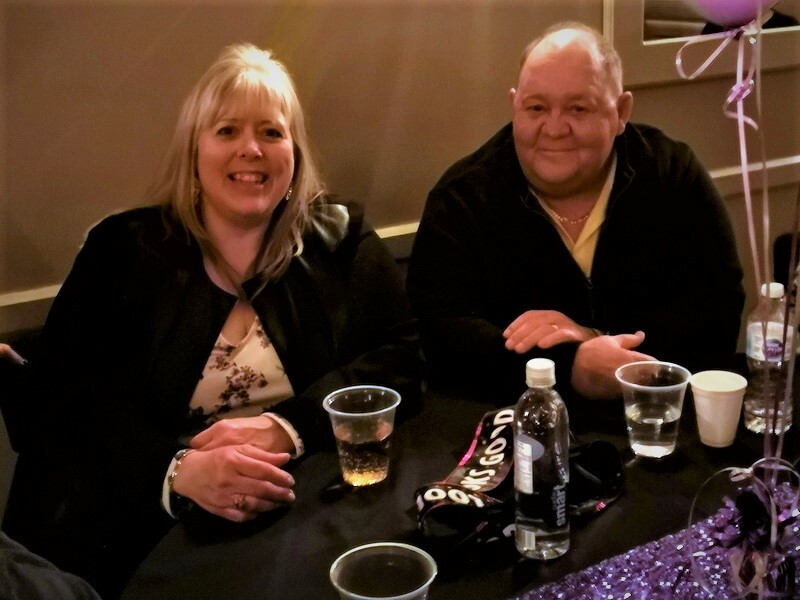 Lori’s party on Saturday night was a very enjoyable night out, as I sat with my buddy Don Simpson and his wife Lise , chatting and listening to the excellent music by the Texas Tuxedo. While I was there, I learned via social media that Stewart Friesen had won the final night at Volusia, with Larry Wight, winning the tour. 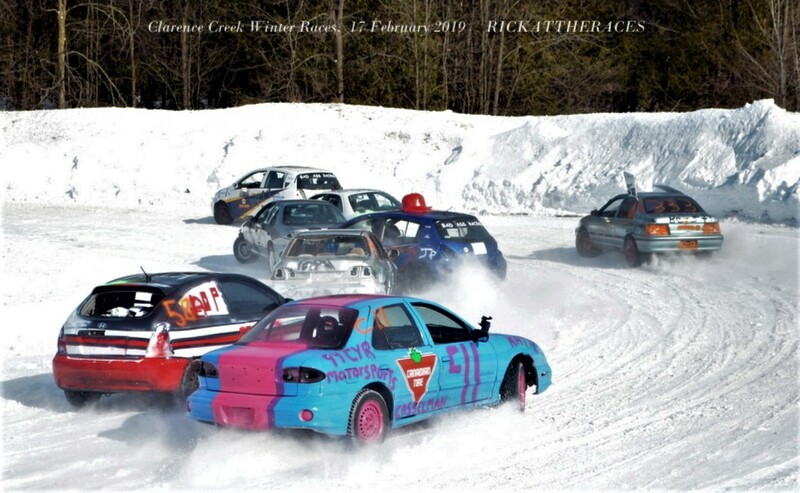 On Sunday (17 Feb) morning I drove out to Clarence Creek, which is about an hours drive from home, for the annual winter races. 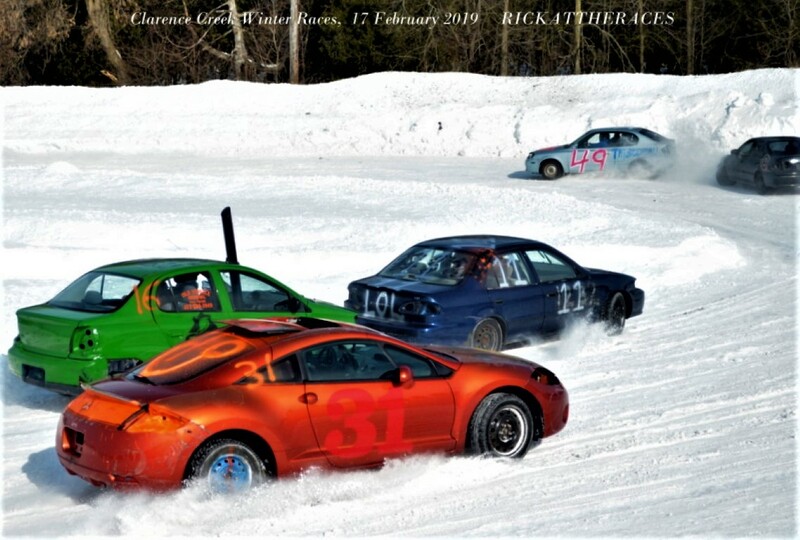 It usually takes place on the same day as the Daytona 500, so instead of falling asleep watching Americas Big Race on TV, I went along to watch the winter fun. 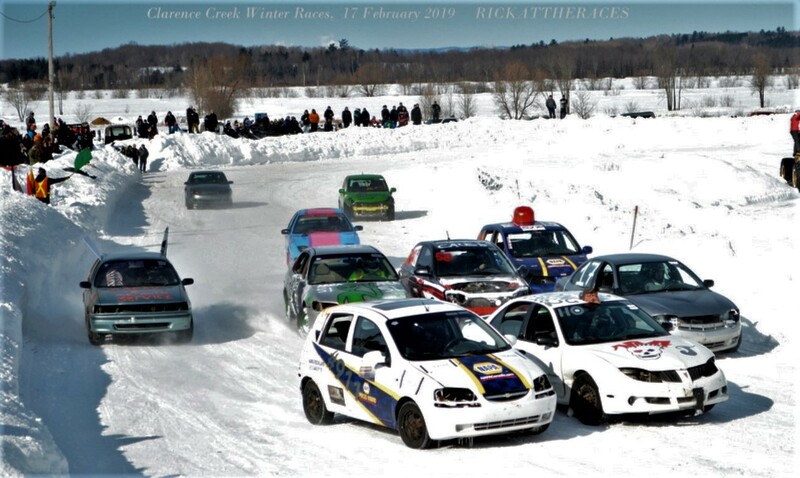 There was plenty of snow on the ground this year , following the big storm we had during the week, which made the racing a lot better. Some of the previous years had turned into a muddy mess, due to the lack of snow, but as you see from these pictures, there was plenty of white stuff. I stayed around long enough to get a few pictures, then got myself back home to Cornwall. Just in time to watch the closing lap wreck fests on TV from Daytona. After an abundance of wrecks in the last ten laps, Denny Hamlin took the victory in a Toyota.